So it’s the end of 2013 and I figured I should put together some sort of thing to talk about the things I liked this year so I came up with this! It should be fun so let’s get to it! I’m starting this list with something I only recently finished! 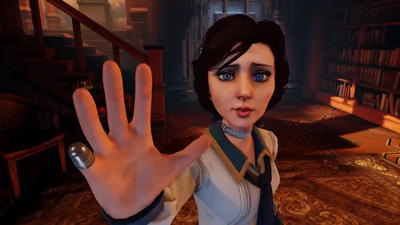 I actually bought Bioshock Infinite back when it released back in March. So you’re probably wondering what took so long to actually finish the game. Well it’s a game that both Faith and I were interested in so she wanted to watch it when I played. Normally this works out fine but after I started it she got really busy with The Last of Us prequel comic (another game we will eventually go through!) And then San Diego Comic Con happened. She got a little less busy but then my work picked up. And then finally we where both super busy with work until last week! And then we just powered through the end! I’m glad I got to finish it because it was pretty crazy/interesting! There may have been some gameplay and story stuff that didn’t work perfectly but the stuff that was good still has me thinking about it. It would be awesome if they could have done a Valve type commentary system in game so I could hear about certain story beats and other things. Also the game was really gorgeous. The city of Columbia was always a sight to be seen. There were moments where we would just stare at the scenery and be in awe. It’s too bad it was filled with terrible people! Speaking of characters, the game had some great ones. Particularly the Lutuece Twins and Elizabeth. I would play a whole lot more with those characters. Maybe in some DLC we’ll see more of them. Anyways, great game that took us way to long to finally finish! I played Animal Crossing: New Leaf for over 150 hours this summer. That’s not the most I heard someone playing it, but for someone that has a full time animation job and tries to do a webcomic weekly on the side, that’s a lot of time. And I enjoyed all of that time in my little virtual town. 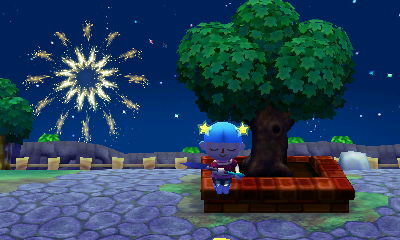 There’s just something relaxing about spending my time talking to my animal neighbours, hunting for bugs and making my town beautiful. I think Faith described it best when she said the lack of responsibilities is really appealing when you’re surrounded by a bunch of work and deadlines. I’ll still drop by my town to see how everyone is every now and then. I’m not even going to post a picture of him. He was so annoying and creepy. He sent me a letter once. It read “I bought this and sent it to you because it really reminds me of you.” I opened up the present and inside was a potty. I was so happy when he moved out. 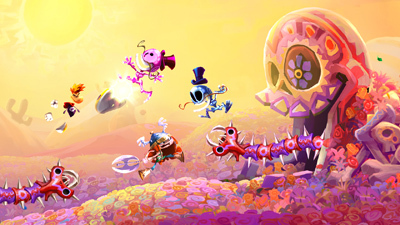 Rayman Legends is super gorgeous, fun to play by yourself or with friends, and has the best musical levels ever. It’s pretty great at video games! You should be playing it right now! For the longest time I thought I wasn’t going to see any animated movies this year. I wasn’t interested in Monsters U. I didn’t care about what Dreamworks was offering. I forgot to go see Cloudy with a chance of meatballs 2 (whoops, sorry Bianca!) 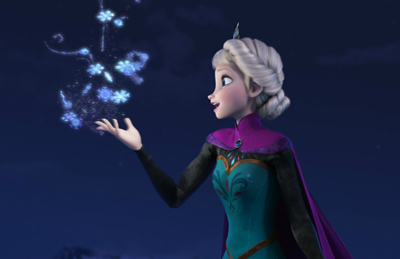 And the marketing for Frozen wasn’t doing anything for me. Then some reviews came out and said it was pretty good. And then some of my friends went and saw it and said it was pretty good. So eventually I decided to go see it with my friend Andrew because everyone else was going to see the Hobbit and we don’t care about those movies at all. I was really impressed by how solid, funny, and towards the end, somewhat surprising it was. There might have been a bit too much singing at the beginning that could have been spent on developing some characters a bit better but overall it work really well. Not as good as last year’s Wreck-It Ralph but a lot better than Tangled. Definitely go check it out. 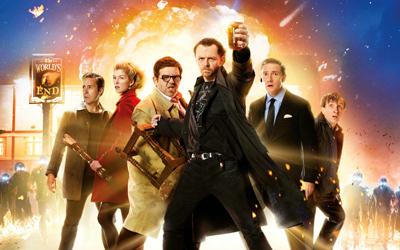 The World’s End is a really funny movie. That’s not too surprising considering it’s written by Edgar Wright and Simon Pegg who also did the pretty alright Shaun of the Dead and the pretty perfect Hot Fuzz. It doesn’t reach Hot Fuzz levels of perfection but it’s pretty close! I’m going to be re-watching it real soon I think! You should watch it too! It’s also the only live action movie that I cared about that I saw in theatres this year. Yotsuba is always the perfect comic. It’s such a feel-good read every time that makes you think this world is pretty alright! 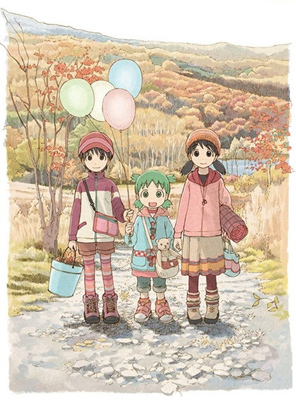 The tagline for Yotsuba is “Enjoy Everything” and I do enjoy everything about it. It’s stories are simple but perfectly paced. The characters are humourous and relatable. And the comic work is simply gorgeous! I’m already eagerly anticipating the next volume! 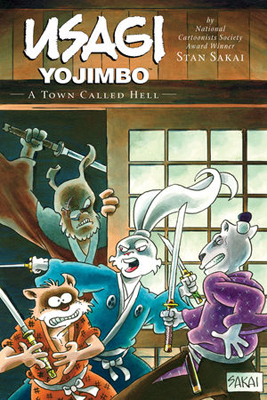 It’s only been in the last couple of years that I got into Usagi Yojimbo. I wish this was a series I was aware of when I was younger because it does so many things right that I would have loved to have it influence me at a much earlier age. And this volume is a great example of everything it’s strong at: complex and interesting characters, great humour to compliment the serious tones,amazing action and sweet emotion. It took me longer to write this cause I got caught up reading it again while trying to think about what to write. It’s that great. I actually got the chance to meet Stan Sakai when I went to San Diego Comic Con this year and I can easily tell you that he is one of the nicest guys in comics. Unfortunately he and his family are going through some rough times. Please head over here and find out how you can help. If you have seen Gravity Falls and read Mush-A-Mush you may have noticed some similarities. I know I did. For a while there was a point that I was slightly angry that there was a show on sorta doing what I was doing at the same time but was much prettier and funnier, and it was created by someone who is around my age. 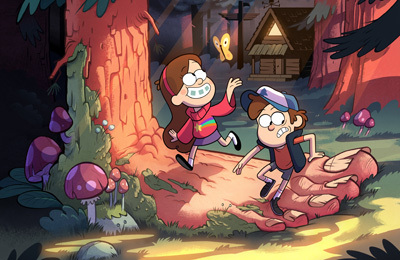 But I got over that pretty easily because I knew Mush-A-Mush would have it’s own separate identity, but mostly the fact that Gravity Falls was just too good to be angry at. The two main characters, Dipper and Mabel, are unique and funny and I’m excited every time I watch to see what crazy thing they’ll discover next and how they react to it. And the overall mystery is pretty interesting. What is up with Grunkle Stan? I wish I didn’t have to wait so long for the next season to start to find out, but I know it will be well worth it. If you would have told me a couple years ago that a Scooby Doo show was going to become one of my favourite shows ever I would have laughed at you pretty hard. If you then told me how it was going to end I would have thought you were crazy and would slowly walk away. But this show became one of my favourites and it ended in a pretty insane way… and it was amazing! I definitely won’t go into spoilers at all here but I can tell you it was pretty unexpected. In fact that’s how I would describe the show in general, not what you expect. The characters are funny (especially Fred which is the most unexpected!) the individual episodes are great and the overarching mystery always keeps you guessing. 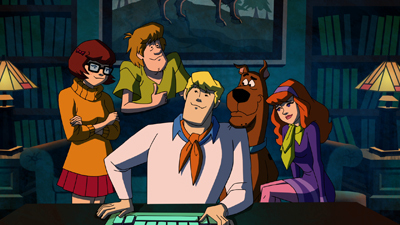 If you have been putting it aside because it’s a Scooby Doo show give it another chance. I think it will surprise you! 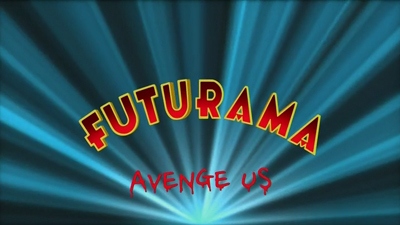 I love Futurama. I have bought every dvd and listened to every commentary. I can’t get enough of the show. I love how smart and dumb it can be at the same time. I can watch the same episodes over and over again and still laugh at something new or something old. So even though it’s ended before (many times actually) this one hit me pretty good. There was a certain sweetness and finality to this episode. I feel like I was okay saying good bye this time. It had a great run. But there’s still a part of me that will miss seeing Fry, Leela and the rest of the Planet Express crew show up on my TV. Well that’s it! 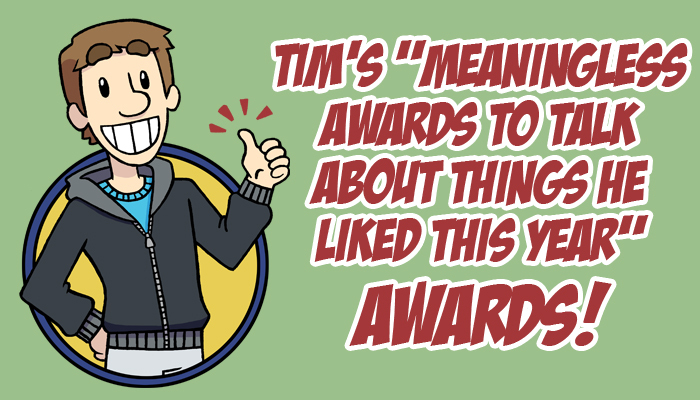 I hope you enjoyed the first ever TMATTATHLTY awards! They may or may not be back next year! Hope you have a Happy New Year and I’ll see you in 2014 with even more Mush-A-Mush comics!